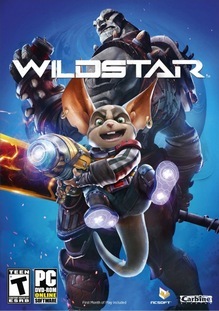 “When Carbine first started working on what would become WildStar back in 2005, the team set out to make something special that presented a different kind of MMORPG experience. At launch, the Carbine team delivered a deep, engaging, and spectacularly fun game full of outlandish adventures on the most legendary planet in the universe. And it has been our great privilege to share those adventures with all of you over the last four years. Unfortunately, as you may have heard, those adventures are coming to an end. It’s never easy to say goodbye to something, especially something that has meant so much for so many—but the WildStar game service will close on November 28, 2018. From now until then we’re going to do everything we can to honor the WildStar community, and show thanks for your support. In an attempt to recognize your dedication and love for WildStar and for those of you who have come to call Nexus your home, [the team outlined several returning events]. We are truly grateful for the vibrant community that grew around WildStar, and for all of your support throughout the life of this game. Our hope is that in these last couple months we can all celebrate the great adventures you’ve had on Planet Nexus—and have some fun along the way. On the same day as the announcement, new purchases through Steam were disabled and all purchases made on or after July 1st, 2018 were to be reimbursed in full. A separate FAQ on purchases and refunds was made available here. In the game’s final update currencies were converted to make in-game purchases easier and drop rates were increased so fans could enjoy as much content as possible. Seasonal in-game events were also rotated out at a quicker rate to give players more opportunities to experience them.